You can check for program and data updates by choosing the "Help | Check for Updates" menu at any time, provided that you have an Internet connection available. 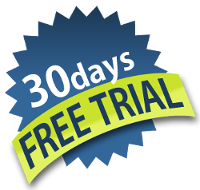 The free Trial Version allows you to try LoopCAD at no-obligation for 30 days. The Trial Version is fully functional, and the only difference is the addition of a small "Trial Version" footnote on the reports and printed drawings. When you first install LoopCAD it will automatically be in Trial Version mode. You can choose to purchase a license and activate your copy anytime during or after the trial period. The easy to use Activation Wizard will always be available to guide you through the process. To ensure that you have uninterrupted use of LoopCAD, it is recommended to start the activation process a few working days before the trial expiry. For more information view the License and Subscriptions page. Get your free Trial Version now by clicking the Download button. The OEM editions are also available to you for the free trial. Simply download and install the desired program edition. You can install LoopCAD 2019 Trial Version without affecting your previous LoopCAD installation(s). Both old and new versions can be used on the same computer at the same time.